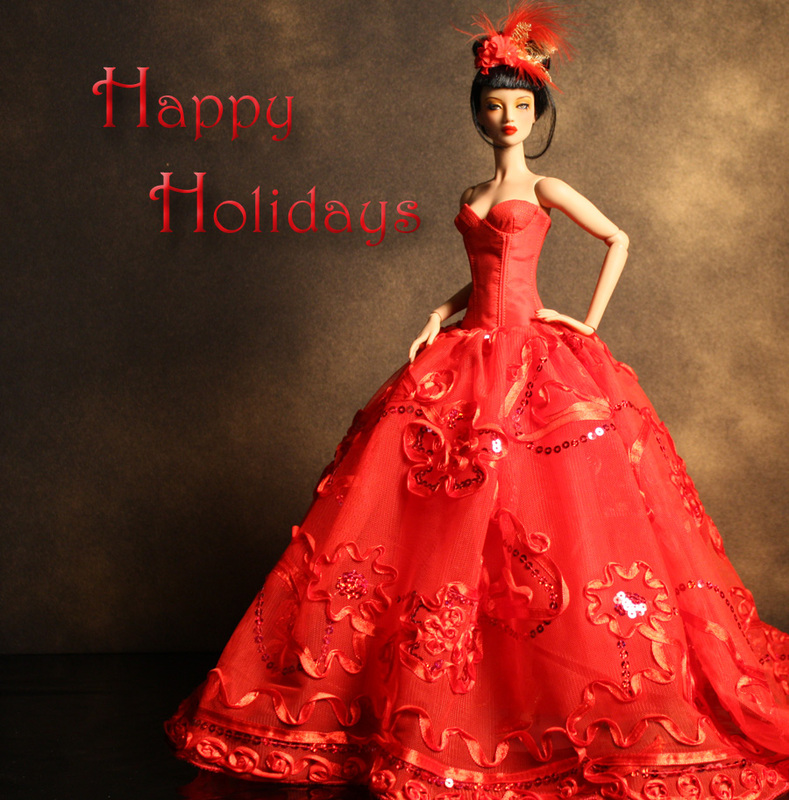 A gown designed for the Couture Doll Shops Holiday Happening. I had found this red tulle with swirled ribbons and sequins and though it was pretty but wasn’t sure what to do with it. So when the holiday happening came up, I thought this would be perfect. 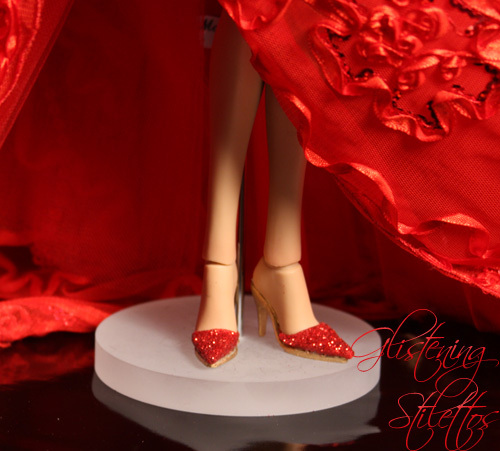 I just happened to have some red silk taffeta that matched perfectly. I was going to use it for another gown I had planned(but there wasn’t enough fabric). I love how this turned out- it was a spur of the moment project and most of the time these turn out great. I even experimented with glittering the mules. I think I am going to have to try this technique with some more shoes. I love the result! Les Scintillance de Rouge (Glittering in Red) resides now in a private collection. Ah, I was hoping to have it on display here at home for the holidays- but now it’s on to the next project! And wait till you see what I have in store……..